At the most strategic level, you need a way to decide which projects or other initiatives will bring the greatest Return on Investment (ROI), which are the highest priority, and which should not be conducted at all. We can help you define and establish a PMO specializing in project portfolio management to make sure your resources go to the right projects and that your projects align with your overall business strategy and are delivering the expected value. Often projects cannot be conducted in isolation – they are part of a larger program that must be managed within a broader context. We can manage your programs for you. For ongoing needs to manage groups of related projects using consistent, repeatable project management and executive reporting practices, we can establish and run a PMO for you. 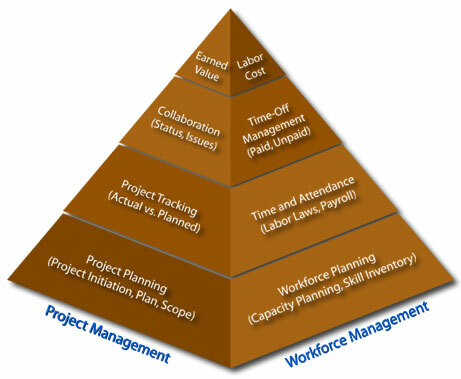 Having applied an effective work process, the next step is to manage that process to ensure the success of the project. Our PMs quickly assimilate your culture and context and then select and tailor best practices for initiating, planning, executing, monitoring & controlling, and closing projects to ensure quality results on time and within budget. Fundamental to the success of a project is an underlying process – methods, tools, and team – that leads to effective results. We can help you define work processes for software development, package selection, and business process change projects to lay the ground work for repeatable success.